What’s Love Got To Do With It? During the month of February, we are going over reasons love actually DOES have something to do with your emotional, physical, and social health. I got into a long drawn out discussion with a wonderful person over this idea. 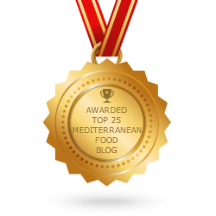 I said that, like the people Mediterranean region, we need to love our food. She had struggled with eating issues in her past, and told me that this message was wrong, it was bad, it was [fill in the blank], and loving your food more is not the solution but the problem itself. Clearly I had touched a nerve, and 100% understand the source of the sensitivity. We are coached by our culture to equate ‘love’ with consumption. We believe that the more you love your food, for example, the more you eat,and the bigger and faster and longer you should consume it. But those behaviors do not reflect any love of food, they equate love with consumption. These two are not the same and when you conflate love with consumption – whether that love is attached to food, or drink, or a person, or a job, or whatever – you are in a disordered relationship with that thing. So change your definition for what it means to “love your food”. If you love your food, you would take your time with it and not finish your lunch in the 5 minutes it takes you to walk back from the kitchen to your desk. If you love your food, you would eat small in order to taste your food. Remember that your taste buds are only at your tongue. If you pack your cheek pockets with your food, you aren’t tasting 90% of it. At that point, you’re just gulping food. If you love your food, you would not choose low cost processed food product made with ingredients that will never degrade. You would eat higher quality real foods because those taste better. By the way, they’re healthier for you too! When you actually love your food, you eat smaller, taste more, control consumption, and therefore manage weight and health better as a wonderful byproduct of the process.